History has shown that in times of war, the human race is at its most inventive. Whether this stems from necessity or the need for distraction, fashion has World War II to thank for the creation of one of its most iconic accessories: the bamboo bag. In 1947, wartime rations were making it increasingly difficult for the fashion industry to thrive. Though materials were limited, bamboo imported from Japan was still readily available. In a stroke of genius, Italian craftsmen created a bag design using this unusual material. Soon after it was released to the public, the bag quickly rose to the status of a fashion must-have, popular among some of the most iconic movie stars of all time and even with royalty. 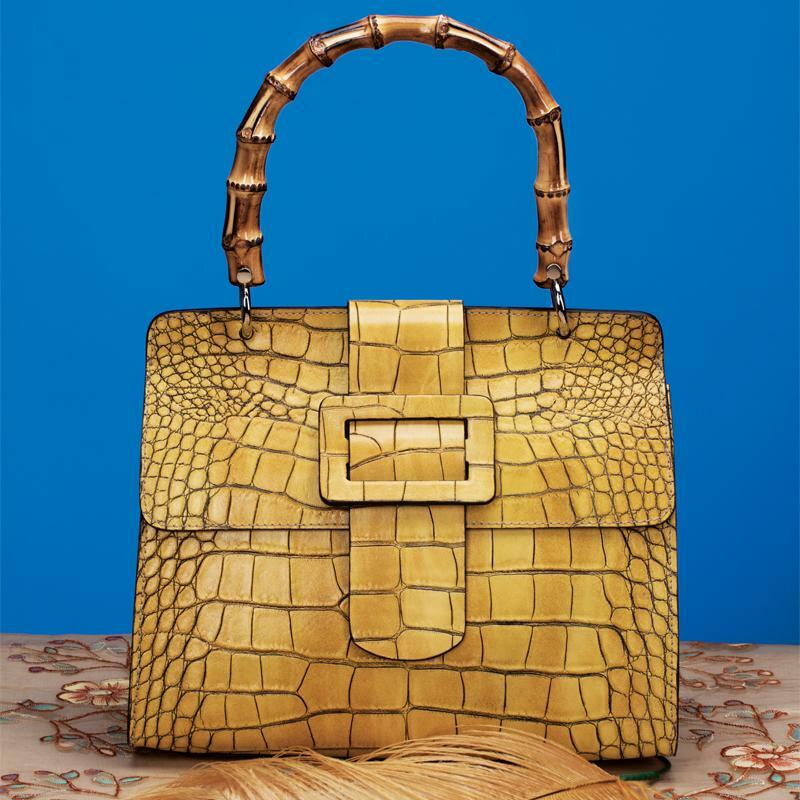 Our Bamboo Bag brings the genius and craftsmanship of Italian artisans into present day. Paired with sunny citrus croc-embossed genuine leather, this classic style has maintained a huge following decade after decade. Stake your claim on one of fashion’s greatest innovations!